Milk Cap Mushrooms have a very unique texture. They are firm to the point of crispness, delivering a satisfying crunch. 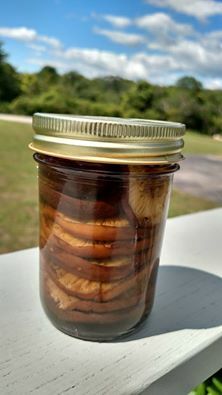 To enhance this feature, we made mushroom pickles! This tradition comes from Eastern Europe.